A fun course delivering serious craft beer enjoyment! This is the perfect course for any craft beer enthusiast looking to learn more about the growing world of craft beer! Right in the heart of Bantry at The Bantry Bay, we’ll taste some of the best craft beers being produced in Ireland and further afield. We’ll start with the basics of malt, hops and yeast, and go on to taste over 30 different beers from Ireland and over the world. We will taste delicious food and beer matches each and learn how to write a beer-tasting note so that you can keep expanding your beer horizons once the course is over. 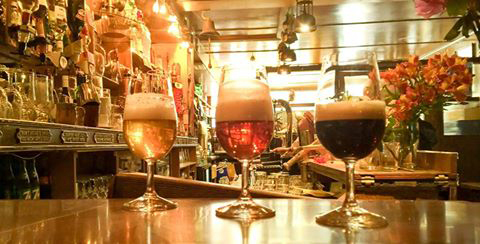 On this informal and fun course, you’ll be journeying through the basic craft beer styles – lager, pale ale, IPA, amber ale, dark ale, porter, stout and imperial stout – we will be able to compare, contrast and assess each one. By the end of your 4-Week Beer Course, you will be able to write a knowledgeable beer tasting note with confidence. You’ll also be able to make some great choices about pairing good food and beer. Course notes and all beer and cider tasting samples. Tasting notes on all beers and cider. Assessment samples of malt, hops, grain, and yeast. Please note, no classes will be held in the week of the October bank holiday.